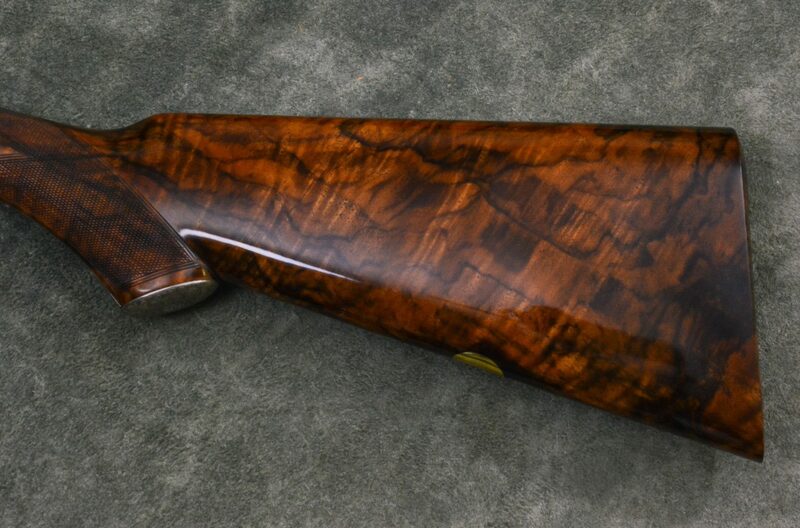 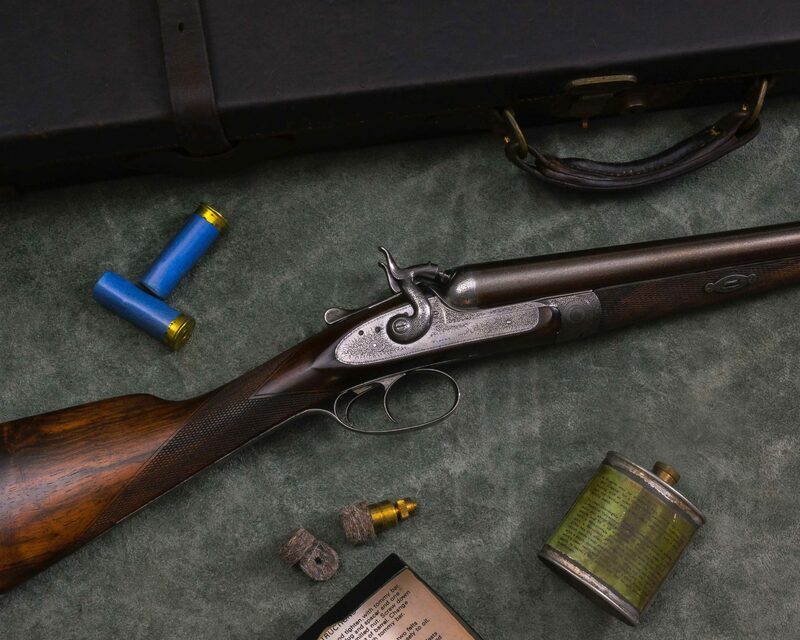 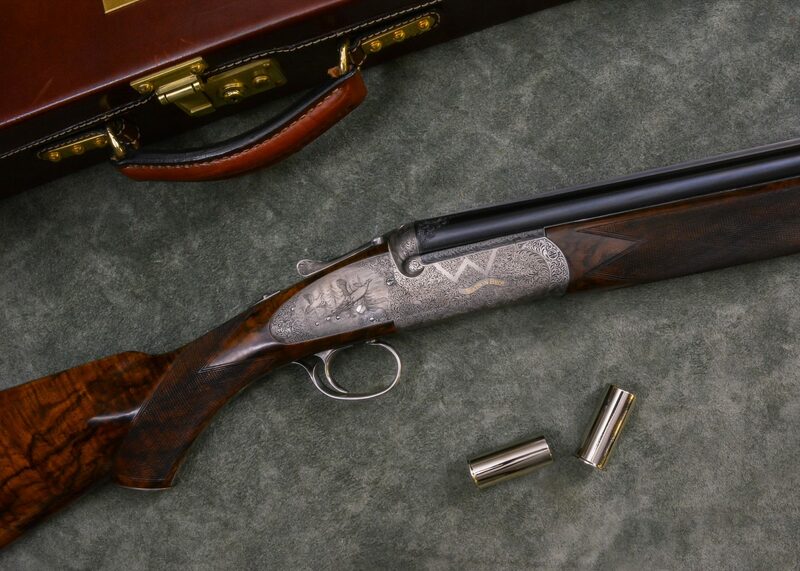 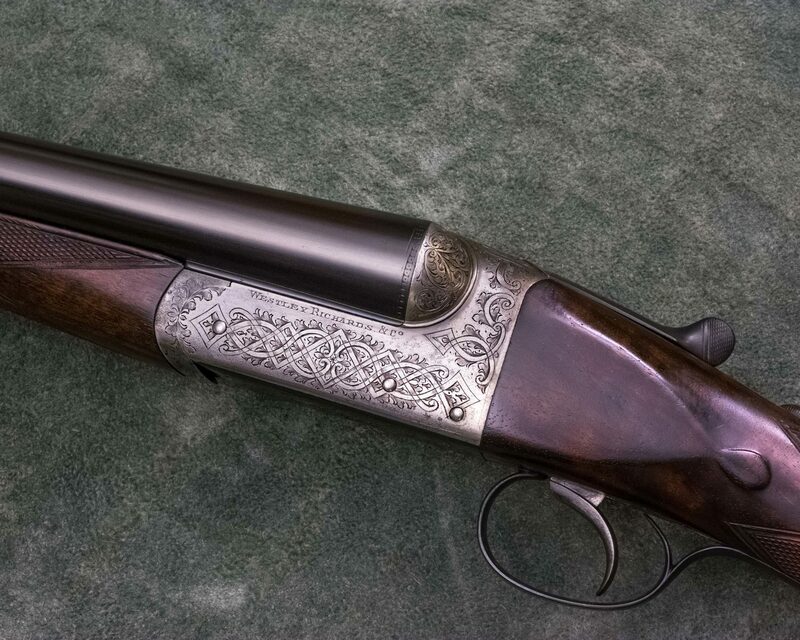 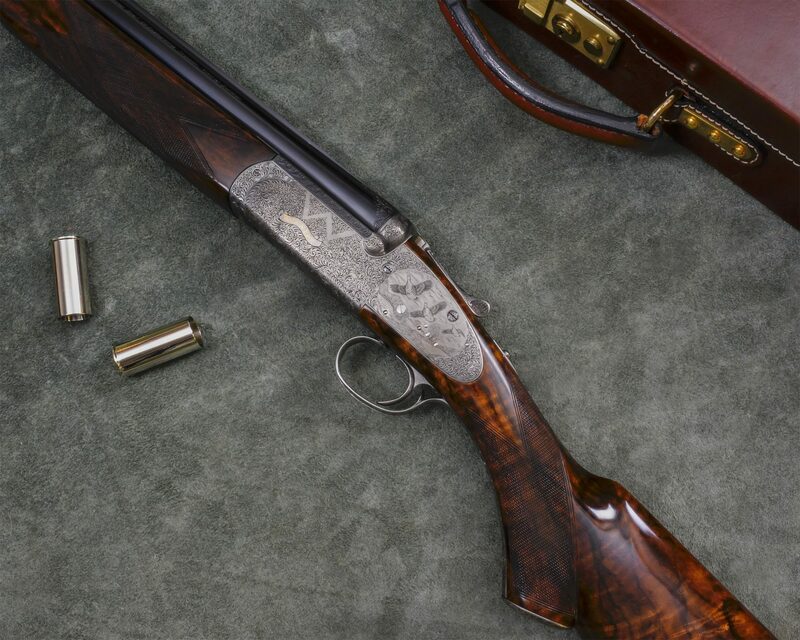 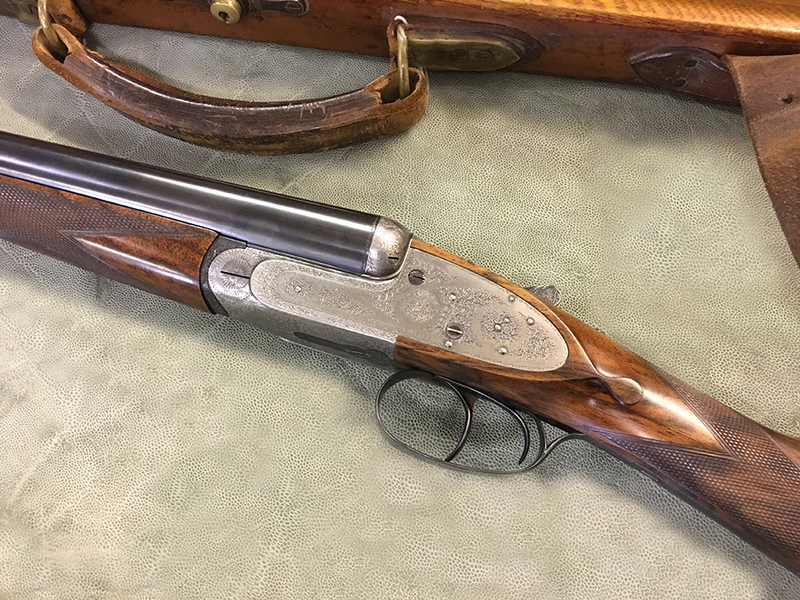 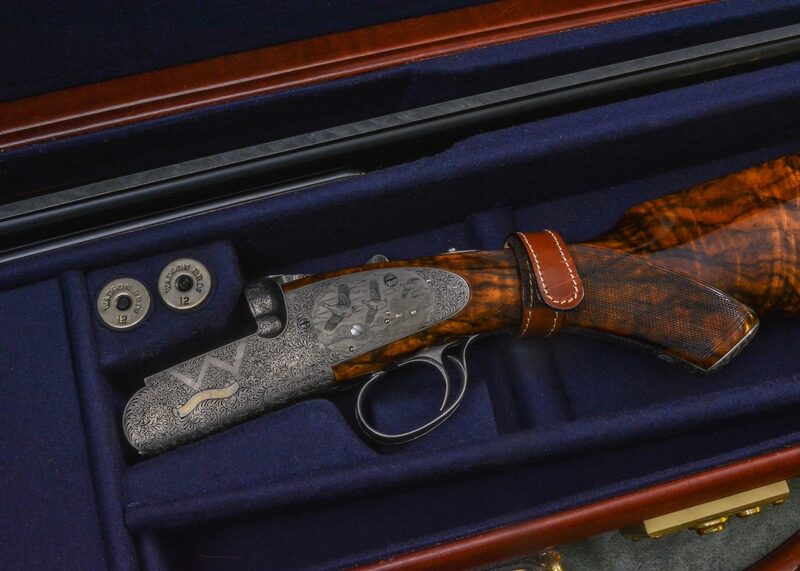 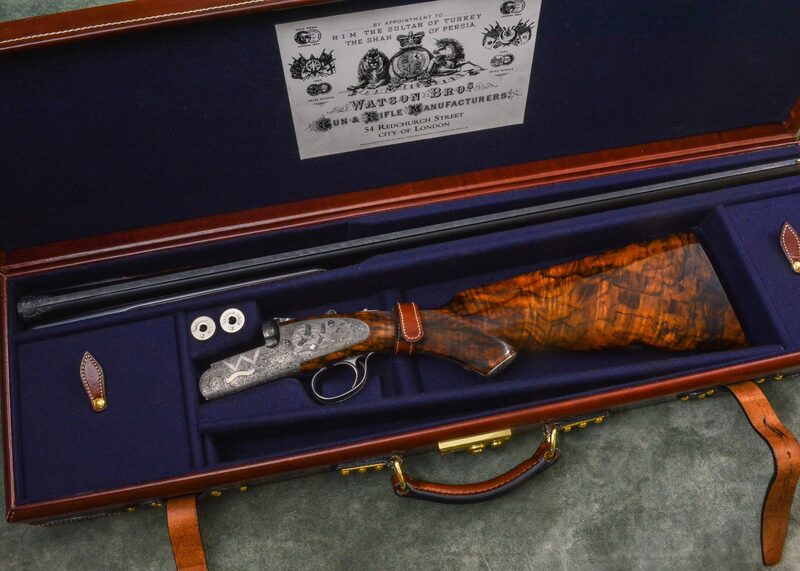 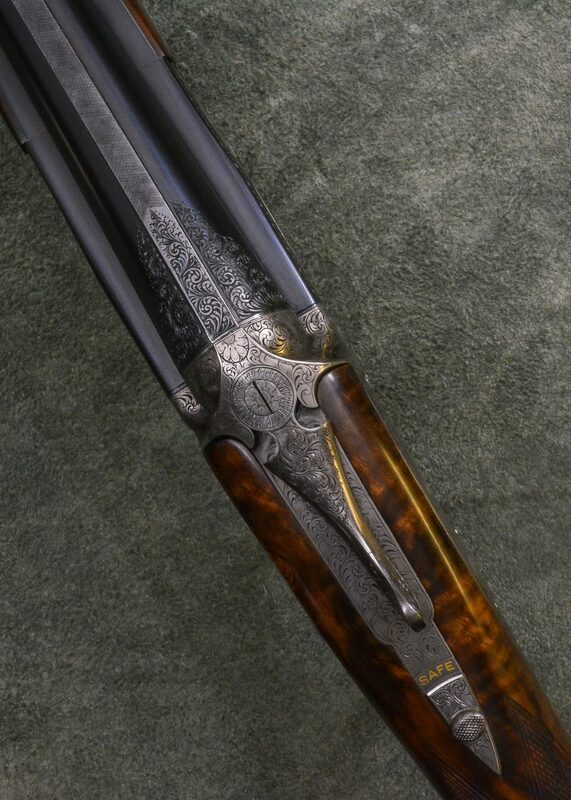 12 bore Watson Bros roundbody over and under, built in 2013, with 30″ barrels, 2 3/4″ chambers, 1/4″ 1/2″ choked. 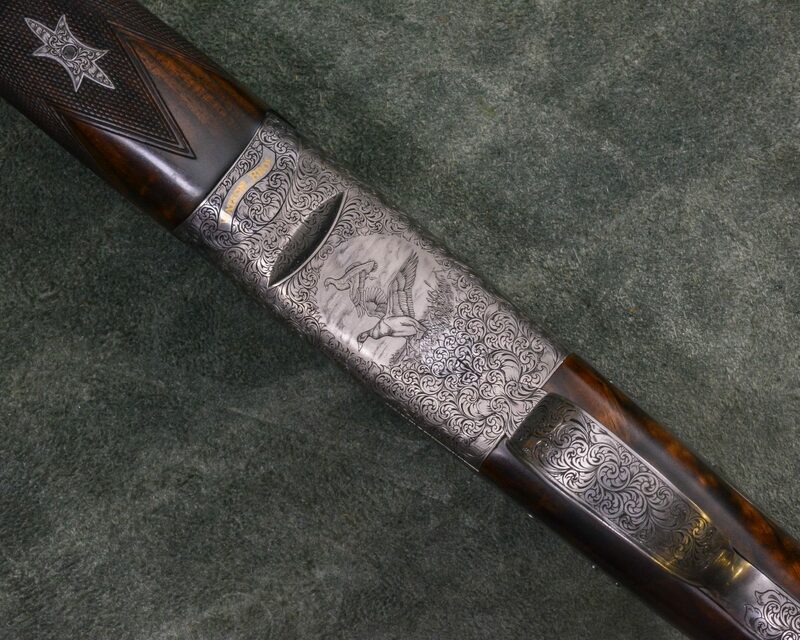 Game scenes engraved with small scroll. 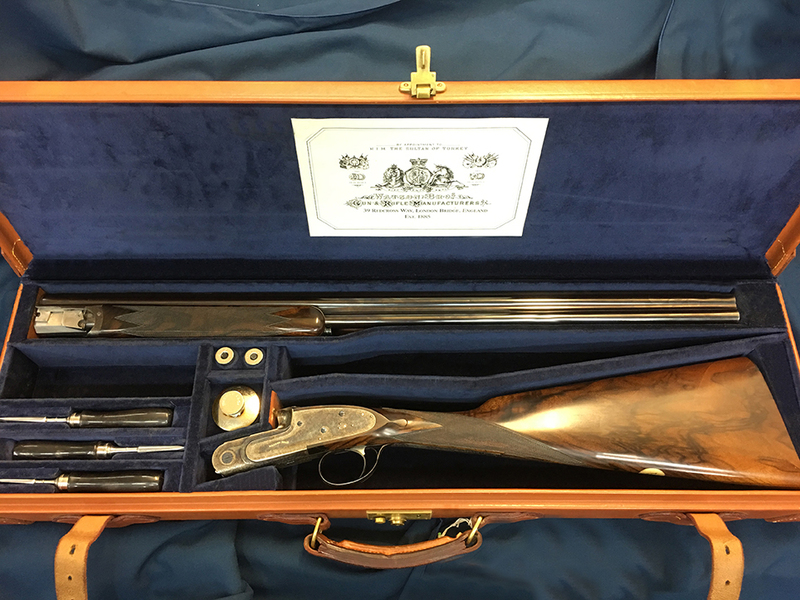 Stocked to 14 1/2″ Cased.